Obesity and any weight loss. Fitness levels ( sportsmen/women & “weekend warriors”): Shake up routine, boost motor skills (agility, coordination, speed, power, reaction time and balance). Mobile training: Train from your home. Fight depression (enhance self-esteem and achievement). Shift off those last pounds (“bingo-wings”, belly…) you don’t seem to get rid of. Prehab-training to reduce risks of injury. Some types of cancers (breast and colon). Arthritis (reduce chances of developing other conditions by inactivity, reduce dependence on pharmaceuticals and reduce pain). Fitness for birth and faster recovery. Reduce problems with water retention (swelling in joints). Anyone can benefit from personal training, all you need is a goal. Special populations & clinical referrals as well. All fitness levels are welcome in this 1h10min Summer Shape Boost: Shape up your abs, back, hips & shoulders. Resulting in a “torso Fit” looks. Improve your strength & muscle’ tone, along side with a good posture & flexibility! Indoor location: one of Alma Church ‘s utility rooms, 29 Alma Road, BS8 2ES. Use the door on the left side of building. Use the double-doors on the left side of building, once inside the hallway: turn right at the toilets, then first left. £7 per walk-in session. Free parking, bike racks at back of building; and free on-street parking too. Mats are supplied. Please be in touch to confirm attendance: new class on booking only for new attendees. 11:00am (indoor session): at The Exercise Club, 213 White Ladies Rd, BS8 2XS, Clifton. £7 per walk-in session, Changing rooms & showers are available. ; “bikes friendly” & on-street car parking. Although, if you attend to both AM classes, there is a discounted price of £12 total only. Please be in touch to confirm your first attendance: Booking is preferable. 1h Stretch & Poise: Bring peace to your body and mind. Energise your day, with a group quality full stretch; achievable stretches for everyone to practice, feel & progress with. Fully obtain the effect of each stretches. Finally, help re-balance your posture. 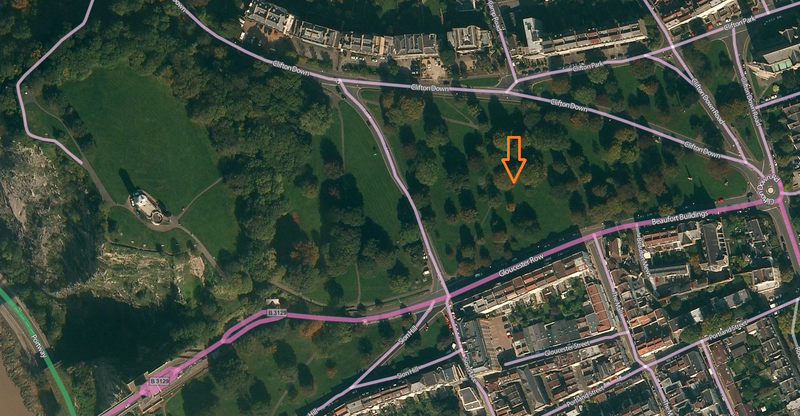 20:00pm (indoor session): at Redland Tennis Club, Redland Green, BS6 7HF , Clifton. £7 per walk-in session -it is advised to book though-, fully equipped studio -including cold or hot air fans-. Changing rooms & showers are available; “bikes friendly” & free private car parking. If the weather is right to go into the adjacent Grass tennis court, we still meet up at the Redland Tennis Club ‘s Studio before proceeding, deciding then if we take the class outdoor. 1h Stretch & Poise: Bring peace to your body and mind. Energize your day, with a: quality, full body stretch. Achievable stretches for everyone to practice, feel & progress with. Fully obtain the effect of each stretches; making this class very unique. Also helps re-balance your posture. This class brings variety with every session. Changes to the classes’ time table: important information. All classes are running weekly – Time table is up to date..
– New early Evening full-body Stretch class: Mondays 6:45pm. – The Saturdays’ 11h10 Stretch & Poise class, taking place outdoors, for that reason only takes place on the warmer months &days: Spring to Autumn. Please be in touch . – From January, an indoor Stretch & Poise class, will be available on Booking, for 11:40am. – Bank Holidays & School Holidays, classes on those days are on booking only. No Classes from 21-27/12/18. Alma Church, 29 Alma Road, . In one of Alma Church ‘s utility rooms, use the double-doors on the let side of the building; once inside the hallway: turn right at the toilets, then first left. 11:40am (indoor session) – new: Alma Church, 29 Alma road, BS8 2ES. In one of Alma Church ‘s utility rooms, use the double-doors on the left side of the front of the building; once inside the hallway: turn right at the toilets, then first left. £9 per session, pay on the day, but please book in advance. Mats are supplied if don’t have any. Free parking, bikes racks at the back of the building. Setting a balanced, comfortable and positive start to you week end. 1h Stretch & Poise: Relax & Energize your day, with a quality, full body stretch. Achievable stretches for everyone, to practice (every fitness levels are welcome). Feel and fully obtain the effect of each stretches. Making this class very unique! Also, this class delivers variety with every session. Helps re-balance your posture a lot. With additional techniques to tweak-up this posture fix longer term. Stretch & Poise class brings peace, to your body and mind: re-tune your body and mind together. Please be in touch to confirm attendance: booking only. 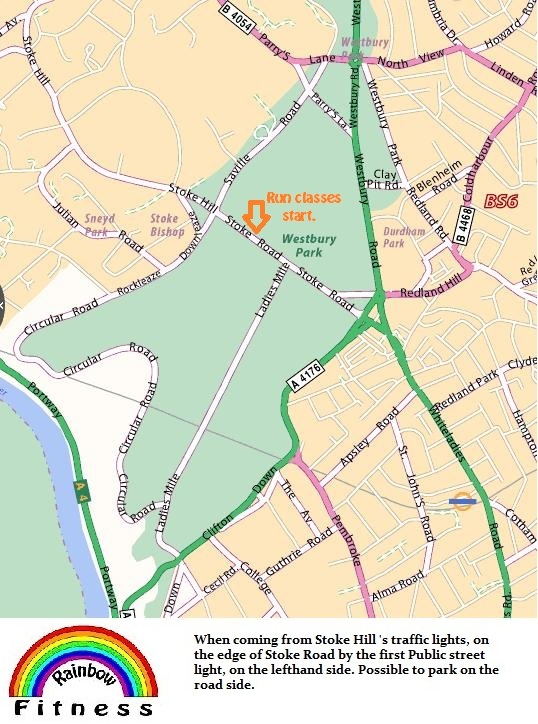 10.00am (outdoor session) – new: Westbury park, near to the junction of Ladies Mile and Stoke Road, close to the Down’s Tea Room. 1h15 Circuit Class. £7 per walk-in session, free parking. Children whose parent’s are in training in the class, can be present or participate at no extra cost. Keeping you warm whatever the weather, whole body workouts & fully balanced also! With a relevant & quality stretching at the end. The content is very varied, to keep you challenged and progressing every time. Boot camp circuits training without the shouting; so join us to grab some healthy fun: working out with a smile, progress your own fitness level, at your own pace! Start your Saturday feeling great with plenty of time left. 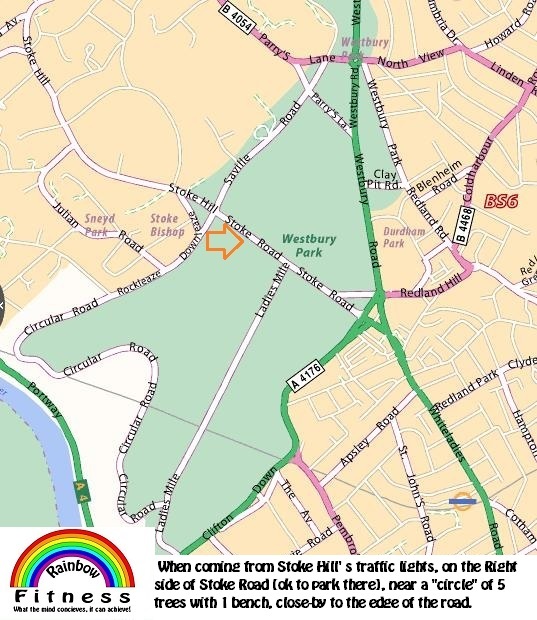 7:00am (outdoor session): meeting up on the park close by The Mall Pub BS8 4JG Clifton; £7 per session,. On-street parking available. 45min Core Galore, a complete core work (torso -front, sides & back-, hips & shoulders) session for definition and max strength. Stretching is included too. Join our fun group, boost efficiently your core for more performance outside that class & firming up your looks! Start your day proud & feeling energized for the rest of the day. 9:00am (outdoor session): at The Exercise Club, 213 White Ladies Rd, BS8 2XS, Clifton. £7 per walk-in session, Changing rooms & showers are available. ; “bikes friendly” & on-street car parking. Please be in touch to check if there is space: Bookings only. 12:10pm (outdoor session): Westbury park, along Stoke Road. Cardio Fit Class 1h_*, ideal for advanced and intermediate runners! **_Beginners, please be in touch before attending. Cardio-challenge and Improve your techniques. End the session with core stability work and relevant stretching. This class is very unique in it’s content: very complete to efficiently improve running (cycling, boxing…) & cardio skills (breathing, posture, performance)fully. £9 per session, free on street parking. Please be in touch to confirm attendance: on booking only. *_ if you wanted, the class could last 70min, provided the instructor has got the spare time until 13h20. Like wise, if you needed to finish for 1:00pm, please advise the instructor upon booking. **_be in touch. 6:45pm (indoor session): Alma Church, 29 Alma Road, BS8 2ES . In one of Alma Church ‘s utility rooms, Use the double-doors on the left side of building, once inside the hallway: turn right at the toilets, then first left. £7 per walk-in session. it is advised to book. Mats supplied if you don’t have any. Free parking, bike racks at back of building, and free on-street parking too. 1h Stretch & Poise: Complete your work out /or&/ working day, with a quality full body stretch. Achievable stretches for everyone to practice. Feel & fully obtain the effect of each stretches. Making this class very unique! Also helps re-balance your posture a lot! Stretch & Poise class brings peace, to your body and mind.